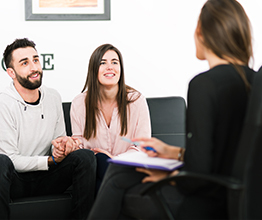 Lisa Bahar is licensed marriage and family therapist, licensed professional clinical counselor and acertified drug and alcohol counselor. Lisa Bahar provides psychotherapy to individuals, couples, and families and specializes in treating addiction, mood and personality disorders. Lisa Bahar specializes in Dialectical Behavior Therapy (DBT) and works to provide clients the most comprehensive care based on their clinical needs and goals. Lisa Bahar serves as Adjunct Faculty for Pepperdine University’s Graduate School of Education and Psychology Master of Arts in Clinical Psychology program with an emphasis in Marriage and Family Therapy; a program designed to serve those interested in counseling individuals, couples, and families as a licensed marriage and family therapist (LMFT) or licensed professional clinical counselor (LPCC) in California. Lisa Bahar is a Mental Health Consultant for the U.S. Government’s Department of Defense through MHN’s Government Military & Family Life Program where she provides behavioral health and wellness expertise to Active Service Members, Guard and Reserve Components and Veterans; as well as their families on how to cope with challenges presented by the military lifestyle. Lisa Bahar Marriage and Family Therapy, Inc. has been selected for the 2018 Best of Newport Beach Award in the Health & Medical category by the Newport Beach Award Program. 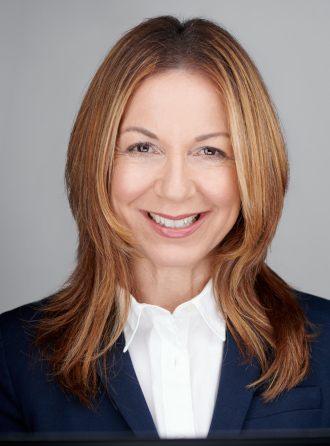 Lisa Bahar received her Master of Arts in Clinical Psychology with an emphasis in Marriage and Family Therapy from Pepperdine University and her Bachelor of Arts in Cinema-Television Production from University of Southern California.